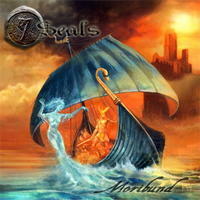 "7 Seals" means Fantasy Folk Power Metal at its best! For their first full-length album they decide to melodize a monumental historical-mythological epic: The Nibelung! For about one hour you will be guided through the world of Sifrit, Hagen and Krimhilt - through the Land of the Burgundy! You will be told about treasures and treachery, about tragedy and fate!